A new era is underway in Dover-Sherborn. Beginning this 2018-2019 season, the Raiders will be teaming up with Weston High School for a three-town varsity boys hockey program. After a 10-8-2 regular season, DS was awarded the No. 15 seed in Division III South last winter. 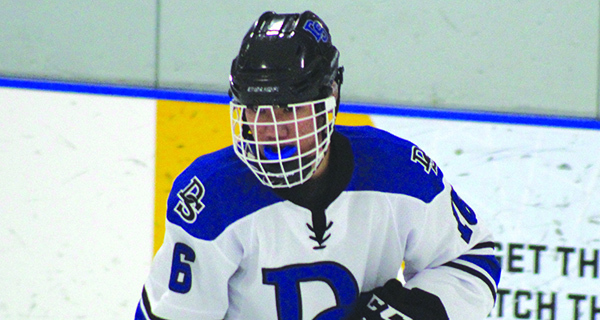 With several key impact players back, along with the addition of some talented newcomers from Weston, expectations for DS boys hockey heading into this season are pretty high. Leading DS-Weston hockey this season are four senior captains: center Matt Paolatto, right wing Henry Kenney, defenseman Max Tjen, and right wing Greg Nemrow. Before DS-Weston can even begin to think about postseason play, Paolatto says the goal for now is to jell as a group. If DS is able to do that, the success will follow. When it comes to putting the puck in the net, Paolatto says there are a number of names to watch out for. Defensively, the Raiders will look to Max Tjen to lead by example as the team’s top lockdown defenseman, while sophomore Billy Rooney provides an offensive spark with his puck-moving abilities. 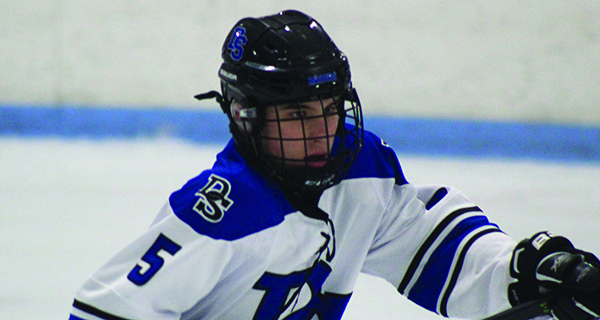 Freshman Liam Falvey is another name to keep an eye out for. DS/Weston will open up their inaugural season together on December 12 against Bellingham before taking on Norton on December 15.